BirdNation – Discover the world of birds at BirdNation! Hi friends! On my last post, I mentioned that Dave and I have some exciting news. Well…here it is. We’re migrating! A one-way migration, that is. At the end of June, Dave and I will be moving from New Jersey to New Hampshire! Dave is graduating in May with an electrical engineering degree, and he got a job in northern Massachusetts, so we’ll be moving right over the border into southern New Hampshire. I’m so proud of him that he’s achieving his dreams, and now we are on to some new adventures. The exciting news isn’t without a little sadness though. I’ve spent my entire life in New Jersey, and I honestly never really thought I would be leaving it. I will definitely miss being able to see family and friends whenever I want, but now we will create new memories in a different setting when we visit each other. I’ll also miss the locations that have grown dear to us over the years birding…especially places like Haddon Lake Park, Barnegat Light, and Cape May. We’ve created so many wonderful memories since we’ve starting birding in New Jersey 5 years ago, and I get a little emotional thinking about not being able to visit these place at any time. I feel lucky that I’ve been able to start my birding life in New Jersey, where we have some of the best birding spots along the Atlantic flyway. But through the blog, I can look back at all the cool places we’ve explored. One thing I know I won’t miss though…living in a state of 8.9 million people that borders two major cities of millions more people (lol)! These days you can never really escape traffic (unless you live in the middle of nowhere I guess), but I’m anticipating that New Hampshire traffic won’t be quite like New Jersey’s. As much as I’ll miss the old birding locations, I’m looking forward to new birding adventures. New Hampshire is known for its natural beauty. The White Mountains, a region of the Appalachians, dominates part of the state and includes the highest peak in the northeastern US, Mt. Washington. The northern areas of the state is where the southern boreal forests of Canada meet with the northern deciduous forests. There are numerous rivers and lakes, as well as 13 miles of coastline and beaches along the Atlantic Ocean. We will also be closer to Maine, Vermont, Massachusetts, Canada, and it only takes about 2 1/2 hours to get to our favorite city, Newport, Rhode Island. There will be so many cool birding opportunities! We will be heading up to New Hampshire in the month of April to check out some places to live the area. It will be my first time traveling to NH (the farthest north I’ve been on the East Coast was Boston). If you’ve been to or live New Hampshire and have any suggestions of places to check out or cool birding locations, please let me know in the comments! 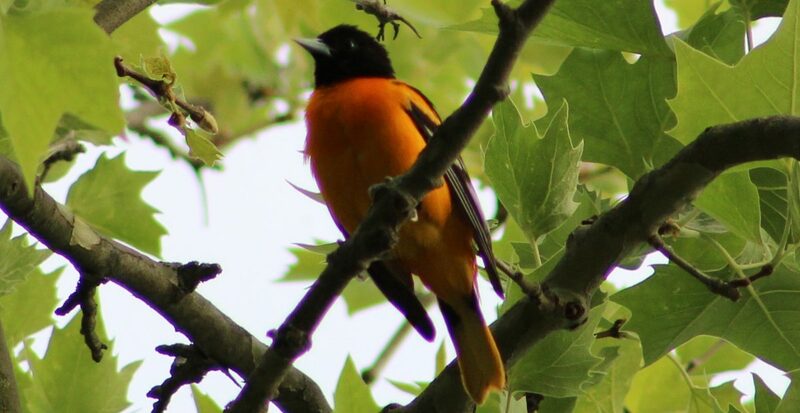 Author BirdNationPosted on April 1, 2019 Categories Tales from the Field, UncategorizedTags birding in New Hampshire, moving states, New England, New Hampshire, New Hampshire nature1 Comment on We’re Migrating!